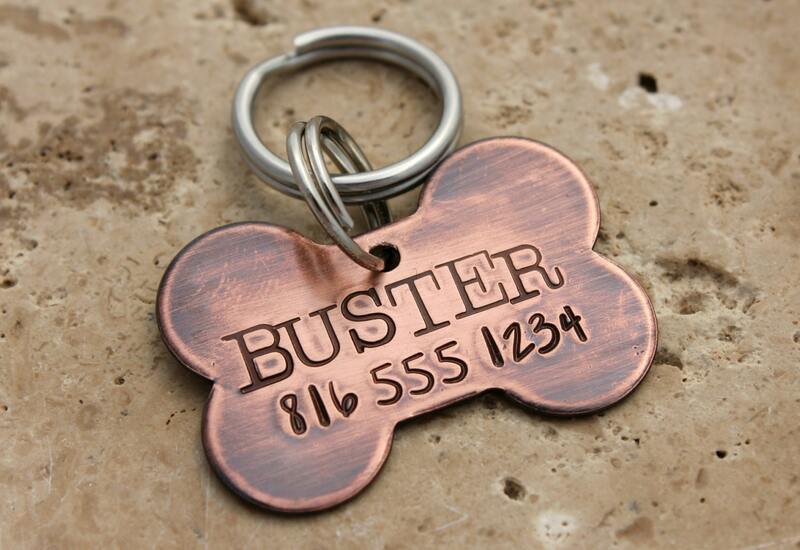 This adorable copper bone dog tag for dogs is sure to get your pet noticed! 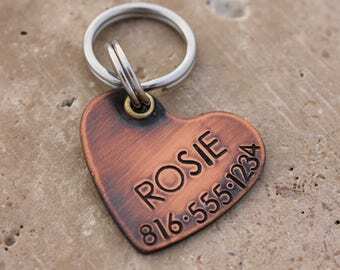 The personalized dog tag is made of solid copper, which makes it very sturdy but still light enough for medium and large dogs. 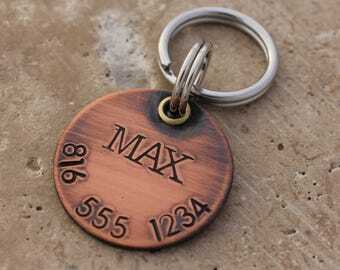 This pet ID tag measures about 1.25 inches long and 1 inch wide at its widest point. For scale, this name tag is slightly smaller than two U.S. quarters lined up next to each other. 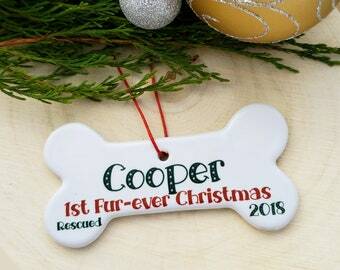 Each tag will be customized with your pet's name and phone number. I can use the large font (as shown in the photos) for names up to 7 characters only! 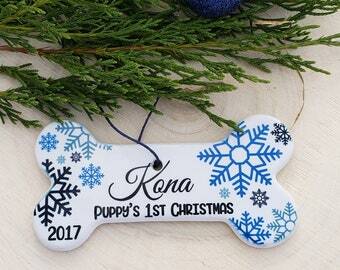 If your pet has a longer name (12 characters maximum), I can make the tag with a smaller font. The name will then be about the same size as the phone number. 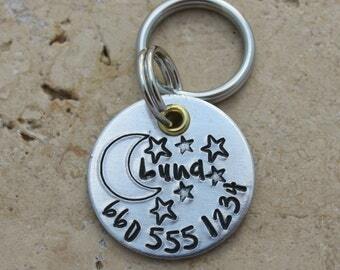 After your tag has been personalized, I give it a brushed antique finish and then seal it with a durable clear sealant to slow down the aging of the copper. Two stainless steel heavy-duty split rings come installed, so it will be ready for your pet to wear right away.